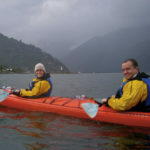 Discovering caimans in the Amazon, exploring Machu Picchu and cooking with a local Peruvian chef are just a few highlights from this fantastic Peru trip! Russell Phillips and Ron Thomas started their vacation at the relaxing Reserva Amazonica Lodge in the Peruvian Amazon Jungle. 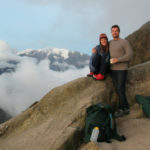 Traveling east to Cusco and the Sacred Valley they admired ancient Incan ruins and marveled at one of the most fascinating historical landmarks in the world, Machu Picchu. At the start of the third week Russell and Ron went to Lake Titicaca where they learned about the Uru culture and traditions. And lastly, the two spent a few days in Lima where they learned how to make ceviche with a local, award winning Peruvian chef and explored the city. 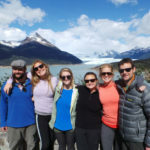 Below is the full Peru trip itinerary, including Peru hotel options, travel tips and more. Upon your evening arrival to the Lima Airport you will be met by a Knowmad Adventures representative and assisted in exiting the terminal and crossing the street for your check in to the airport hotel for the evening. In the morning you will be transferred to the airport in Cusco and fly to Puerto Maldonado. You will be met at the airport by an Inkaterra representative and will visit the Butterfly House where you will pack a portion of luggage into a smaller bag. You then head to the pier and go upriver about an hour looking for monkeys and other fauna as the foliage grows more dense, until we reach the beautifully crafted private bungalows at the Reserva Amazonica Jungle Lodge and Nature Reserve. Continue enjoying your inclusive stay at Reserva Amazonica and choosing from a variety of jungle excursions to help you explore the region. We highly suggest the canopy walk, excursion to Lake Sandoval, and a night caiman search in addition to the others. You will be transferred by river boat and vehicle out of the jungle to the airport for your onward early afternoon flight. After your short morning flight to the former Incan capital of Cusco where Andean cultures come alive (don’t be surprised when the language doesn’t sound like Spanish – it is most likely the native Andean tongue Quechua), you’ll be met at the airport and taken for a light lunch. Departing for the Incan sites around the town, you’ll visit the fortress Sacsayhuaman and its megalithic stone terraces; Kenko, with its carved stone surfaces and subterranean altars; the Puka Pukara fortress that protected the royal capital from attacks; and the water temple, Tambo Machay. After breakfast you’ll head by van along the Sacred Valley past the communities of Calca, Coya, Lamay and Pisac. From here you go completely off the map winding up a small dirt road, which takes you through remote Andean villages until we arrive to the Amaru community. This isolated community holds strongly to their ancient customs and practices a largely subsistence lifestyle on the slopes of the Andes. The Amaru will proudly open their village to you where you will learn of their lifestyle and traditions. Among other things you take part in gathering plants used as natural dyes, learn of their medicinal and culinary properties, and see how the Amaru’s world- renowned textiles are woven and brought to life. Stay for lunch with community leaders or enjoy a picnic amongst the Pisac ruins that sprawl down the mountainside towards town. If still energized, you can enjoy a gentle hike through the extensive Inca terracing down the mountainside, or hop in the van, and arrive to Pisac – one of Peru’s largest and most vibrant markets – where you can bargain with Andean campesinos for hand-crafted wares. Return to Sol y Luna for a relaxing evening. Today you will have the day at your leisure to explore the Sacred Valley. You will have your guide and vehicle at your disposal for half the day and they will make suggestions. One good option is to visit the Pablo Seminario ceramic workshop, but there are also many other sites to explore. Heading out early you’ll arrive to the massive Inca agricultural terraces of Moray, thought to have been a nursery to experiment with and modify different varieties of crops. From here hike or go by van (depending on your preference, time, and weather) to the little-known village of Maras where pre-Columbian terraced saltpans are still being harvested in the traditional way by villagers. Enjoy a picnic in this surreal setting before a walk down the Andes to the valley floor where you board the train that chugs along the Urubamba River and parts of the Inca Trail towards the Amazon arriving at Machu Picchu Pueblo where you check in to your accommodations nearby the train station and nestled in a small piece of forest resplendent with orchids and hummingbirds. You may also have time on this day to visit the village and ruins of Chinchero before catching your train. After breakfast you will head up the mountain on a short bus ride to the Machu Picchu citadel. This incredibly vast archaeological site – lost to the world until well into the twentieth century – is perched amidst Andean peaks and lush cloud forest making it one of the most breathtaking sights in the world. You’ll have the opportunity to get a complete guided tour as you begin to unlock the mystery of the Inca, and also have plenty of time to wander the site on your own. Lunch at the Sanctuary Lodge adjacent to the ruins means you’ll be able to enjoy the whole day without leaving awe- inspiring Machu Picchu. 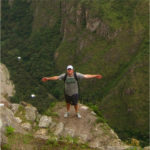 You can also climb the adjacent sacred peak Huayna Picchu for a bird’s eye view. Enjoy the day at your leisure to relax and discover the grounds at Machu Picchu Pueblo Hotel. The hotel offers orchid walks, short morning birdwatching excursions, guided interpretive walks, and more. If you would like, you will also have a permit and shuttle bus ticket and can choose to revisit Machu Picchu Citadel for part or all of the day (without guide). Taking a morning train from Machu Picchu you will travel for approximately an hour and a half by train back to the Sacred Valley. Here you will visit the impressive Ollantaytambo Fortress ruins briefly. Heading into the valley you’ll stop to enjoy lunch at an authentic colonial-era hacienda before continuing on and arriving in the early evening to Cusco. Your accommodation is an artfully restored colonial-era mansion surrounding a traditional courtyard. Enjoy a full day privately guided excursion seeing the sites, touring museums, visiting the markets, and enjoying the wonderfully diverse and vibrant town of Cusco. You will have a full day at your leisure to independently explore the town of Cusco. Continue enjoying your stay at Titilaka and exploring the region. Enjoy your final morning on the shores of Lake Titicaca before you are taken by van to the Juliaca airport with a Titilaka representative. Upon arrival to the Lima airport you will be met by a Knowmad representative and taken to your accommodations in Lima. – Visit a local market where you will taste and appreciate the local products. – Visit Chinatown to feel the mixture of the Peruvian and Chinese cultures and cuisines. · See Lima’s downtown (Unesco site) to observe its main monuments and architecture. · Visit an awarded chef to have the best ceviche in Lima and learn how to make it. – Enjoy a delicious lunch. Enjoy a full day at your leisure to independently explore Lima. 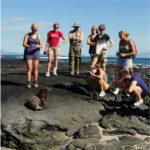 Your private guide will pick you up for an afternoon (in accordance with your international departing flight time) half-day exploration of the city. After the tour you will be brought to the airport for your onward flight. Ancestral Lima. At the Huaca Pucllana, an archaeological precinct build in the IV century A.C., we will have a panoramic view of this magnificent ceremonial and administrative centre which was considered by the Incas a holy village. We will learn about the life and rituals of its ancient inhabitants and admire its typical pyramidal building, very characteristic of sacred pre- Hispanic edifications which were adored in the coast of Peru. Colonial Lima. The Peruvian Viceroyalty was the most important one in the Spanish Empire and Lima was its capital. The highlights of its historical centre are its architecture and the urban design of the city, found in the old streets filled with colonial houses adorned with Moorish-style balconies. Our trip includes the Paseo de la Republica (Promenade of the Republic), Plaza San Martin (San Martin Square) and the Plaza Mayor (Main Square), with their different buildings: Palacio de Gobierno (Government Palace), Palacio Arzobispal the (Archibishop’s Palace), the Basilica Catedral (Cathedral Basilica) and the Palacio Municipal (Municipal Palace). We will enter the monumental Convento de San Francisco (Convent of Saint Francis), which displays the biggest collection of religious art in America. We can admire the Choir Room and the Monks’ Library, the Sacristy, with its collection of Zurbaran and Rivera paintings. The Big Patio of the Main Cloister, decorated with Sevillian tiles from the XVI century, its beautiful Moorish arches and its subterranean crypts known as The Catacombs, where you will feel the presence of Lima’s colonial past. Contemporary Lima. Visit to the most traditional residential areas in the capital: The Olive Grove of San Isidro, Miraflores and Larco Mar, distinctive tourist center of contemporary Lima.